Trending is a 164 Foot/50 Meter Westport recently updated with custom interiors, technology and amenities. Pride of ownership comes shinning through years of experience as the owners have spared no expense updating the technology and amenities of this fine Motor yacht. Trending’s impressive leisure and entertainment facilities make her the ideal charter yacht for socializing and entertaining with family and friends. With a cruising speed of 20 knots, a maximum speed of 24 knots and a range of 5200 nautical miles from her 75,700.00 liter fuel tanks, Trending is the perfect combination of performance and luxury. Our seasoned captain takes you to your destination in style, using the latest in navigation equipment and technology. Aboard Trending you will find the best in water sport accessories. 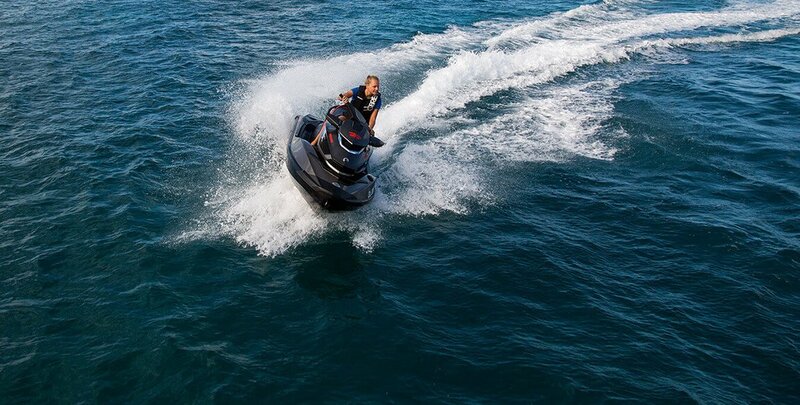 We are equipped with twin Sea-Doo shock-absorbing jet skis, twin Sea-Bobs (a Trending personal favorite! ), a 37' Boston Whaler, two additional tenders for beach excursions, tubing, water skiing or wake-boarding. We love our water toys, and you will too! When its time to go below the waves, do it with Trending's on-board certified scuba instructor. We are equipped with top-of-the-line dive gear and on-board compressor to quickly refill your tanks and get you ready for your next beautiful aquatic adventure. One of the most important aspects of any yacht experience is the professionalism and experience of the crew. Trending has done extensive research in the hiring process to ensure that our crew members are responsive, professional, and as visible or discreet as you wish. Our captain has over 20 years of experience in superyacht luxury charter. He is committed to your desires and will oversee the ship as you have the trip of a lifetime. Trending's Master Chef looks forward to providing you with gourmet meals fit for royalty. Our chef will accommodate your unique diet and dining preferences; gluten free, paleo, or even casual meals for the children. Trender is a 37 foot Boston Whaler, using triple 300HP four stroke engines for quiet running. With seating for up to 20 passengers, Trender features a side dive door for scuba, two freshwater showers, ample shading and wing curtains to protect from rain and win, grilles for BBQ, and so much more. The top deck of Trending features lounging areas that can be quickly rearranged into a full dance floor, a full service bar equipped with marble counter tops, and a 50 inch fold-able flat screen TV. Forward of the bar area is Trending's 10 guest hot tub, padded umbrella area for lounging, and side pool bar; the pinnacle of perfection.